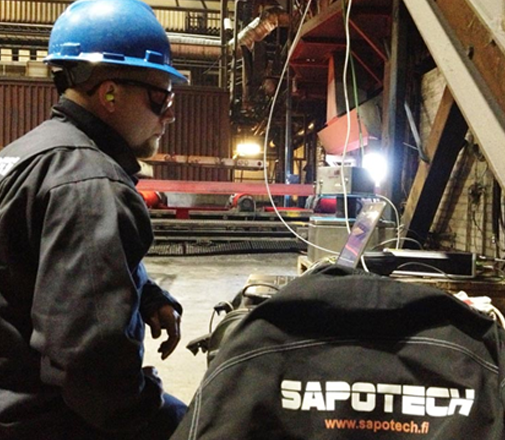 Based in Finland, Sapotech offers breakthrough solutions to the metals industry, combining unique image processing and laser technologies to inspect the production of metals at all temperatures. All our solutions are designed to be compact, easy to maintain and customize, and with a short payback time. Our IoT-based Reveal platform enables real-time visualization, acquisition and storing of large amounts of production data. Our technology is widely used in the steel, aluminium, ferrochromium, nickel and copper industries. Through this cooperation, Vesuvius will distribute, under an exclusive arrangement, Sapotech’s Reveal products to Central Europe, Asia and the Americas, helping Sapotech to expand and accelerate their market development. Furthermore, collaboration between experts from Vesuvius and Sapotech will contribute to the development of Vesuvius’ offering of expert services around the continuous casting process to its steel customers. Together we are globally closer than any other system provider.